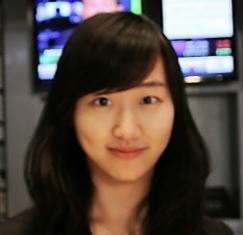 This latest in our PR in Asia series was contributed by guest blogger Eiffy Luo, a multimedia story teller who discovered her passion for business and journalism through work at TheStreet.com, Reuters and the New York Times. The post is about Singles Day (11/11), which started out as a Chinese holiday but has grown into an international phenomena. Thanks Eiffy! And thank you for reading, we hope you find the information to be helpful and interesting. E-commerce giants are competing for “Singles’ Day,” an online shopping festival similar to “Black Friday” in the U.S. In the first 90 minutes, Alibaba Group said it pulled $5 billion in total sales. Last year, the firm recorded $9.3 billion at the end of November 11. The Singles’ Day has intensified the rivalry between the two e-commerce retailers in China, Alibaba Group and JD.com. It was launched by Alibaba in 2009 to promote their Tmall online shopping mall and encourage single people to shop for themselves and celebrate their lives. In August, Alibaba Group partnered with consumer electronics retailer Suning Commerce Group in an effort to match or exceed JD’s capabilities. The partnership gives Alibaba access to Suning’s logistics network, which reaches across most of China, to boost same-day delivery of consumer electronics and appliances. However, JD.com has been gaining in areas like clothing, and has called apparel the “most important growth engine” for JD Mall. Last year, JD.com developed a partnership with Tencent Group, China’s largest social media company, to attract consumers through Tencent’s popular social media platforms WeChat and QQ. E-commerce operators are working on providing deep interactive experiences for customers via social media. WeChat, a messenger tool similar to WhatsApp, Facebook Messenger or Line. WeChat is even more popular than text messenger and email in business settings in China. How do e-commerce sellers use social media for “Singles’ Day”? Sellers are using social media to win over the consumer. The first step is to create deep interactive experiences between consumers and products. For example, an UAV (unmanned aerial vehicle) company designed a WeChat animation: as users touched the screen, they could follow the UAV and open an invitation letter. The letter invited users to attend offline events featuring the real UAV. Next, marketers should deliver a “key message” of their products, catch consumers’ interests, and propose appropriate marketing strategies on social media platforms. Repost and Rewards: one way to reach out to consumers and “touch” them on social platforms is by offering incentives and encouraging them to post. Weibo users are encouraged to repost a promotion by tagging (“@” in Weibo) their friends (usually the post requires 3), and will get the chance to win the rewards (including sample products, discount, or other gifts) from sellers. KOLs: another important way is to use KOLs, or Key Opinion Leaders, to promote products. KOLs are celebrities on Weibo, which called “Big V” in Chinese, as they have a “Verified” symbol on Weibo ID. Since all of them have over 1 million fans, their post and repost will greatly affect market performance. #Hashtag: Sellers use hashtags to post hot topics, usually related to trending events or celebrities. Sometimes marketers will reach out to Weibo PR and promote their story to “hot topic rankings.” As more people see the topic, they will comment and repost about it with hash tags. WeChat users have profile pages similar to Facebook’s timeline. They post “Moments” like text, photo, and video. Users can also subscribe to official accounts to read and repost news, articles and content they are interested in. Online sellers use HTML5 to add text, pictures, and animations with one link. It could be an interactive game, an article with funny screen shots from a hot TV series, or simply a creative video with an eye-catching title. Singles’ Day is no longer just a special day for singles, but a global shopping festival with everyone in it. One of the keys to winning the game is to get most out of Chinese social media.